Our policy is to have fun while keeping safe! Walls, reefs, caves, drop-offs to 100+m, underwater arches! 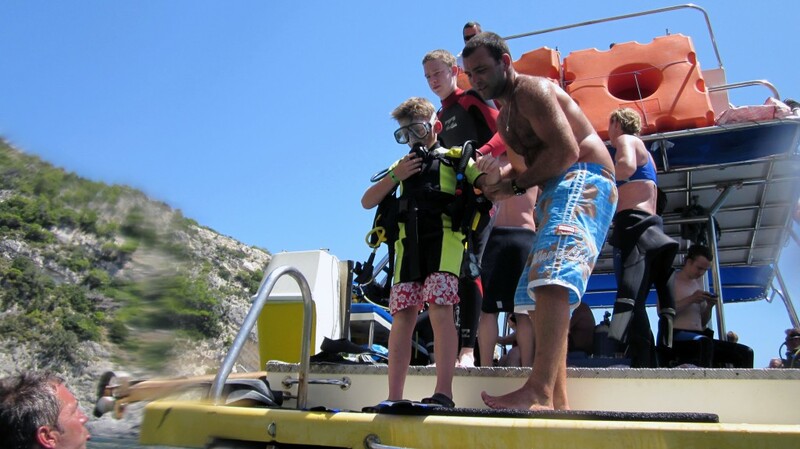 All of our dives are supervised and lead by dive professionals. 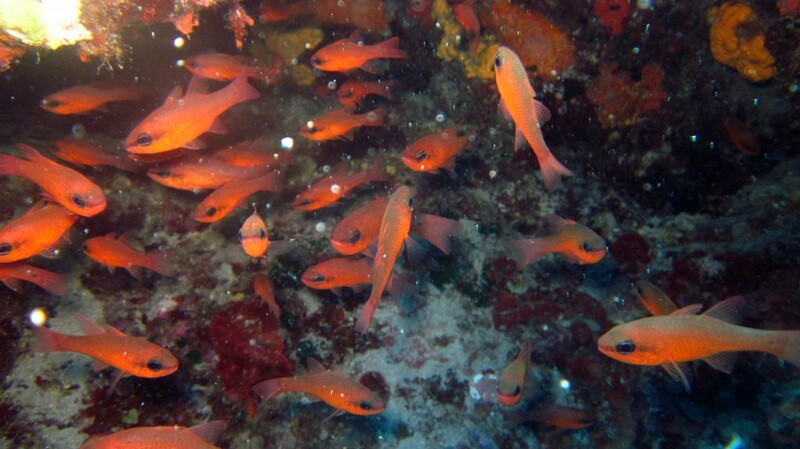 Eurodivers caters for certified divers with and half-day trips consisting of 2 dives on 2 different sites in the beautiful Keri Caves area of the Laganas Marine Reserve. 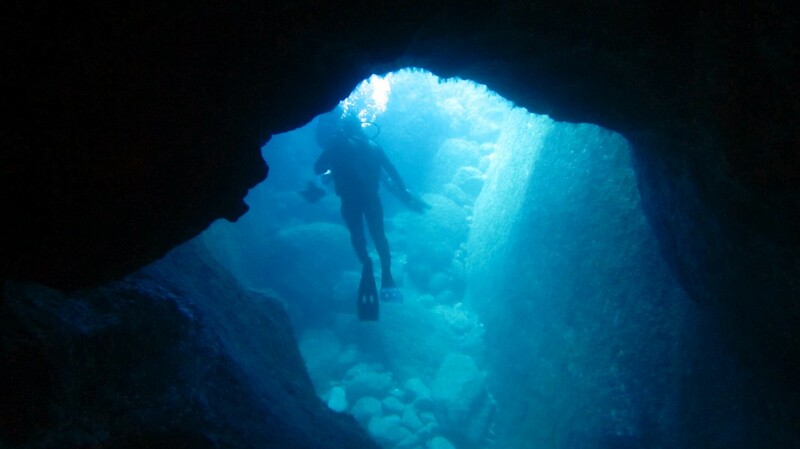 The dive sites are located around the Keri peninsula, which is a limestone area with some amazing underwater topography, including, walls, reefs, caves, caverns, drop-offs to 100+m, and underwater arches! For booking information click here. We had our dive boat custom-built with toilets, showers, sun and shade decks, a small bar and an extra wide swimstep with dual ladders for easy entry and exit. We carry a full oxygen and first aid kit on board, as well as all other safety equipment such as flares, life rafts and radio-distress beacon. We strictly adhere to PADI standards, which means a depth limit of 18m for Open Water divers and 30m for Advanced divers or above. The rich and varied marine life in Zakynthos includes octopus, barracuda, moray eels, large grouper, tuna, giant loggerhead turtles (Caretta Caretta), crayfish, langusta, white bream, bluefish, dolphin fish, greater amberjacks, parrotfish and a multitude of other colourful reef fish. The average surface temperature of the water is 27C, and with crystal clear waters with a visibility ranging from 20-40 meters, these conditions offer ideal opportunities for underwater videography and photography, as well as very pleasant recreational diving! There are 2 dives per trip with plenty of time for a chat and a baguette lunch during the surface interval. 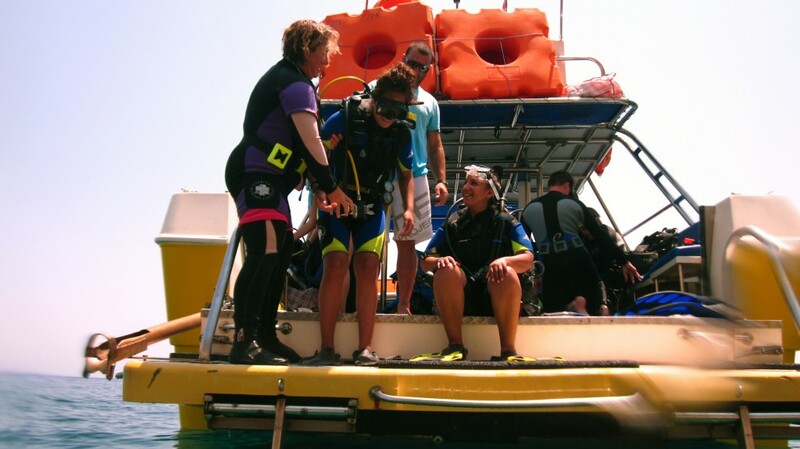 All of our dives are supervised and lead by dive professionals. Our policy is to have fun while keeping safe. A dive trip with us includes a briefing about the dive site to be visited such as topography, key points of the site, marine life, and general safety rules on the boat, and in the water. 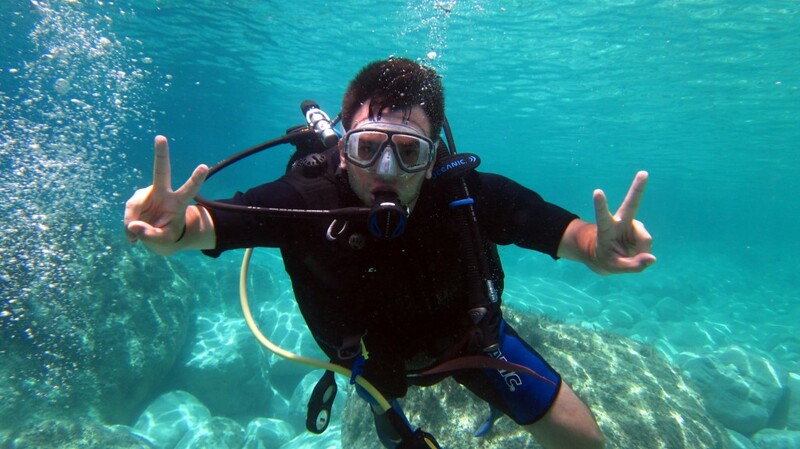 One of our staff will then lead you on a tour of the underwater world that Zakynthos has to offer.